Today's Robin's second birthday. Although it's the middle of the summer we will have a big party tomorrow with lots of friends and family coming over! It's really nice seeing Robin growing so big and seeing him learning all those bigger children things. He's doing a lot of talking and building and constructing all sorts of things. He's even playing along with kids twice his age and doing fine at it! 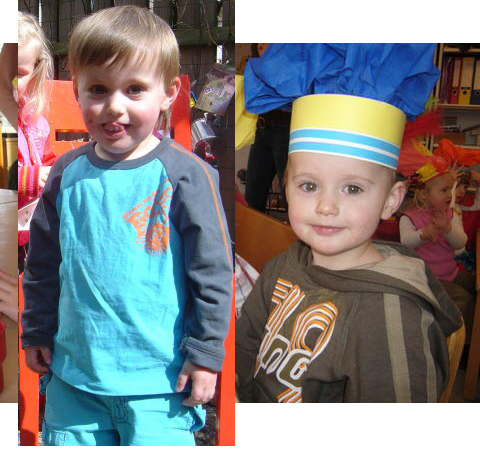 Robin, have a wonderful couple of days - we'll celebrate you today, tomorrow and on monday at the kindergarten! Robin, have a great birthday! Post a comment on "Robin's 2"